Do you have questions about metronom? Not only can you enjoy the advantages of metronom as a passenger, you can also shape them with us behind the scenes. We can provide you with a range of opportunities to become part of the hard-working metronom team. Do you want to work for a young, innovative transport company? Would you like to work with colleagues who are highly motivated, friendly and reliable? 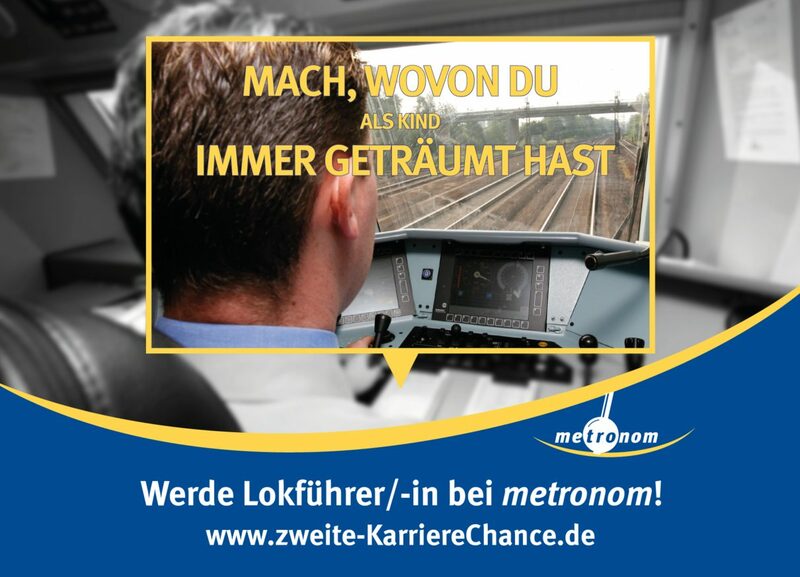 Then apply to work with us, and maybe you’ll soon be a part of the metronom team! Do you still have questions to ask us? Please give us a call on +49 (0)581-97 164 0. You can find an overview of our current vacancies here. You can also find other jobs at our company via the NETINERA careers page and on the OHE job market. If there is not a suitable vacancy for you, you can also make a speculative application.